New research from City has proposed a mechanism for calculating the reputation of cloud service providers. 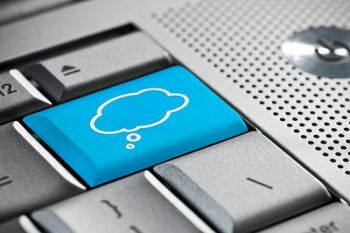 Cloud computing has emerged in recent years as a 'utility in computing', enabling IT services in which resources are retrieved from the internet as distinct from connections to servers. Cloud computing has several advantages over server-based systems. It enables employees to work remotely from different geographic locations, reduces IT infrastructure costs and enables companies to upgrade their software more easily. However, despite these advantages, cloud computing faces several issues of trust, security, identity and privacy arising from its reliance on internet connections from computers and mobile devices. Professor Andrea Zisman and Dr Muttukrishnan Rajarajan, with colleagues from BT, have proposed mechanisms to calculate the reputation of cloud service providers. They evaluated and compared their proposed model with existing reputation models using subjective logic operators and computed opinion values. The research was published in Trust Management IV, part of a series by the International Federation of Information Processing: IFIP Advances in Information and Communication Technology. The research is illustrated by a cloud computing education application being deployed by BT for universities and other education institutions. This enables cloud-hosted virtual laboratory environments, with access to an institution's applications, computers and servers. The academics modelled the trustworthiness of service providers through the combined opinion of three computations: the compliance of service level agreement parameters; service provider satisfaction ratings; and service provider behaviour. The authors are presently extending their model to consider relationships between service providers and infrastructure providers, to be used as another variable when calculating trust values.